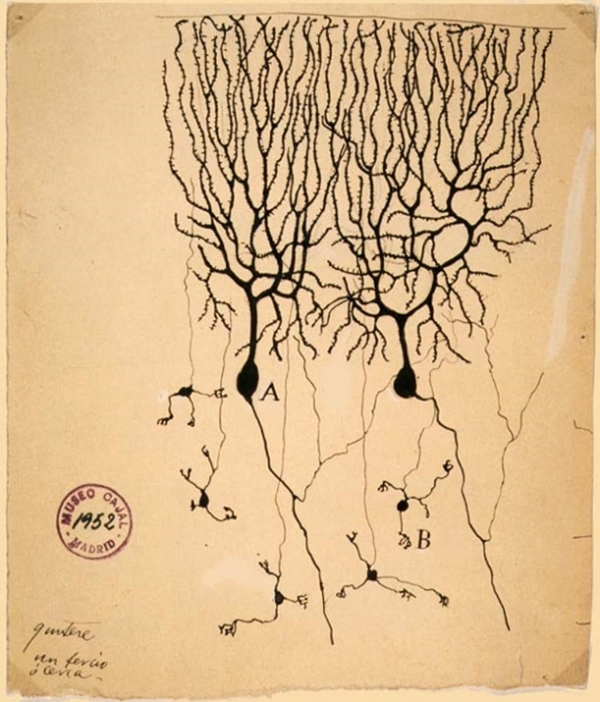 Ramon y Cajal, 1899, Drawing of Purkinje cells (A) and granule cells (B) from pigeon cerebellum by Santiago Ramón y Cajal, 1899; Instituto Cajal, Madrid, Spain. Drawing is a common practice for many people – not only artists, but also scientists, students, or ordinary people. We all know this. Nevertheless, artists are some of the few ones who use drawing, simultaneously, as a process and product. Scientists are probably among those who have historically most used drawing as a study process and, in rare cases, as an artwork. If at this point you are thinking about Leonardo da Vinci, you are right. He was one of the few. Actually, when it comes to science, professionals never portray themselves as artists. They are more likely to say – »Oh, I don’t know how to draw,« like many of us, ordinary people. Yet, some of them were fine artists too. The connections between science and literature are far more common. Many scientists enjoyed successful careers, in which they somehow mingle both fields – writing about science – or use them in distinct terms. We can mention the case of George Buchner (Germany, 1813), an anatomist and writer, originated from an influential family in medicine. Buchner never practiced medicine, and ended up being a writer whose potential some equal to Wolfgang Goethe or Friedrich Schiller. His short life – he died at age 23 – limited his achievements. However, his writings seem to conform to his anatomy studies – very dry, analytical, and precise. 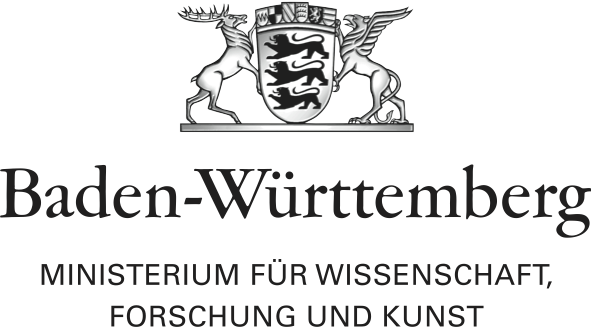 When it comes to science, the psychiatrist and psychoanalyst Carl Jung (Switzerland, 1875) established the »artist-scientist« as one of the archetypes in mythology, which was an abstraction of the human nature and life. Jung considered that both roles involve a huge amount of imagination, dreaming, discovery, and even failure. They are both the creators, the absent-minders who navigate other worlds and need to be pulled down to reality. Yet in contemporary society they are understood as opposite figures. Historically, some scientists were even punished for their artistic aspirations. One of the most famous cases is Santiago Ramon y Cajal (Spain, 1852), a neuroscientist and pathologist, a pioneer in the field of neuroscience and the first Spaniard to win a scientific Nobel Prize in 1906. Ramon y Cajal was actually a provocative figure who wanted to be an artist, something that his father, a reputable anatomy teacher, had forbidden him to do. Thus, Ramon y Cajal spent much of his childhood testing the limits of authority, creating a mess here and there, so much so that he was in jailed at the age of eleven for destroying his neighbor’s yard gate using a homemade cannon. At this point, we couldn’t agree more with Jung – indeed, there is something of imaginative in the life of a scientist! But, so much creativity paid off because, in the end, he got the best of the two worlds – not only he won a Nobel Prize, as his drawings were also published, and regarded as an outstanding contribution to the arts and science. What was very innovative in the practice of Ramon y Cajal is that he used drawing to produce a similar effect to the contemporary MRI (magnetic resonance imaging) techniques. By that time (late nineteenth century), biomedical imaging techniques were not available, nor was photography, so Ramon y Cajal took advantage of the staining technique developed by his peer Camillo Golgi (Italy, 1843), a physician and pathologist. This technique consisted of analyzing the nerve cells with their highlighted branched dendrites and axon, which could be clearly visualized against a yellow background. Ramon y Cajal then spent hours observing brain tissues through the microscope and recording the findings with drawings made with pen and ink. The prodigious drawings, which are as beautiful as they are truthful – can be seen as the ancestors of the contemporary MRI techniques, used nowadays to scan the brain. But what is the importance of those drawings to science? It was through drawing that he understood that the neurones were individual cells – each of them conducted impulses in a single direction, from dendrite to axon. This achievement – the neurones doctrine – was a remarkable contribution to neuroscience. In reality, what is very interesting in this case is that both Golgi and Ramon y Cajal used the same staining technique, but arrived at different results. Golgi saw the nervous system as a single continuous network. On the contrary, Ramon y Cajal concluded that it was contiguous and composed of individual cells. In the end, they were both awarded the Nobel Prize in 1906. Nevertheless, in the 1950s the development of the electron microscopy made if clear that, indeed, the brain is composed of individual interconnected nerve cells, thus, confirming Ramon y Cajal theory. As many argue, such a conclusion was only possible through observational drawing. The fact that he spent countless hours drawing the brain made him »see better.« Everyone who has ever tried to draw something in detail knows that it is impossible to render one object that we don’t fully understand. Thinking unfolds as we try to draw something. Without proper knowledge, hesitations will be revealed, and failure will follow. Even the skilled draftsman would miss that task. On the contrary, the skilled anatomist could do it – eventually not the aesthetically perfect product, but the truthful one. Today, with MRI we can better visualize the brain. Nevertheless, these scans do not do the observational job that the brain does through drawing. Another important aspect when it comes to the resonance imaging techniques is that they are not completely reliable. That means that, since the technique has been recently developed, it is not completely documented/tested. Moreover, the brain has so many cells that it is impossible to measure all of them, only the main ones. Finally, there also differences in terms of the different scans and liquids that can be used. Therefore, the results are always approximate. The same problem does not occur with drawing, because what we experience is a process, which is transmitted in knowledge. Even if the outcome is wrong – there is never a right or wrong when it comes to drawing – the process is always truthful, because it is organic, and therefore a genuine response of our brain to the stimulus that was presented to it. Dancers often ask »When do we stop dancing – when we leave the studio or when we sleep?« So, when do we stop drawing? And what are the imprints onto the body? Thoughts by Ana Mendes on the practice of artist Kanako Hayashi.